By Puvidham in Events on January 20, 2017 . 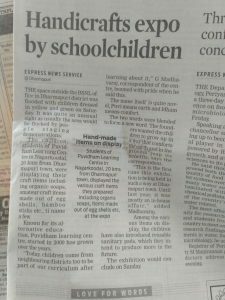 An art and craft expo was conducted in december 2016 to expose children to the real world. The children enjoyed the taste of entrepreneurship. Thanks to all for supporting and encourating our children. 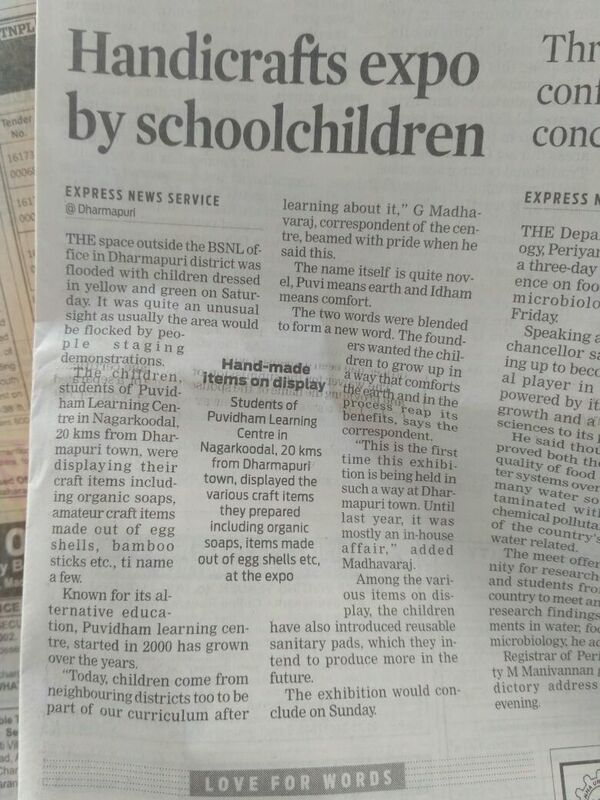 Green Products like Key chains, paper bags, organic soaps, art work etc were on sale.